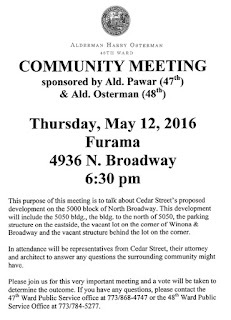 Aldermen Osterman and Pawar will be sponsoring a community meeting on Thursday, May 12, for neighbors of 5050 North Broadway. 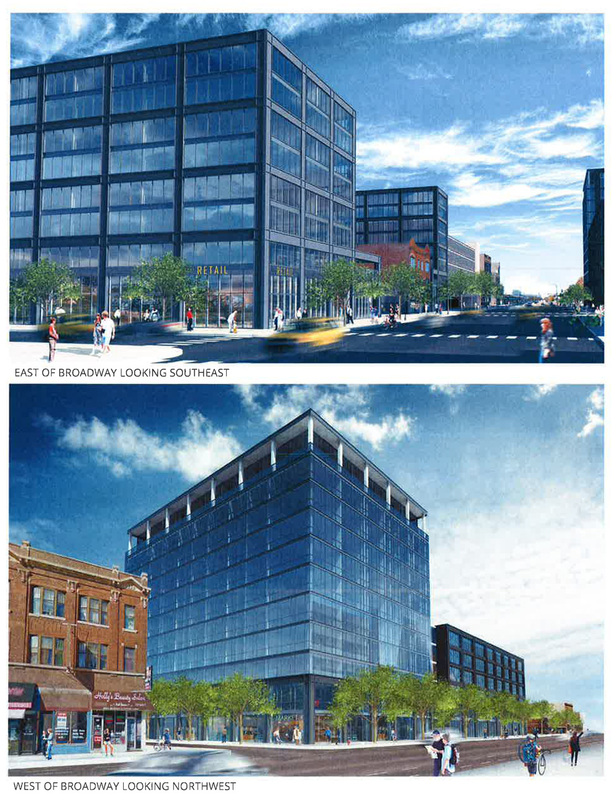 It's to discuss and vote on Cedar Street's proposed redevelopment of the buildings that were formerly part of the Combined Insurance/Aon holdings there. the vacant structure behind the corner lot. The project consists of a mixed-use development with ground floor commercial, with residential units above and including the parking structure." It will take place at Furama Restaurant, 4936 N Broadway, at 6:30pm. 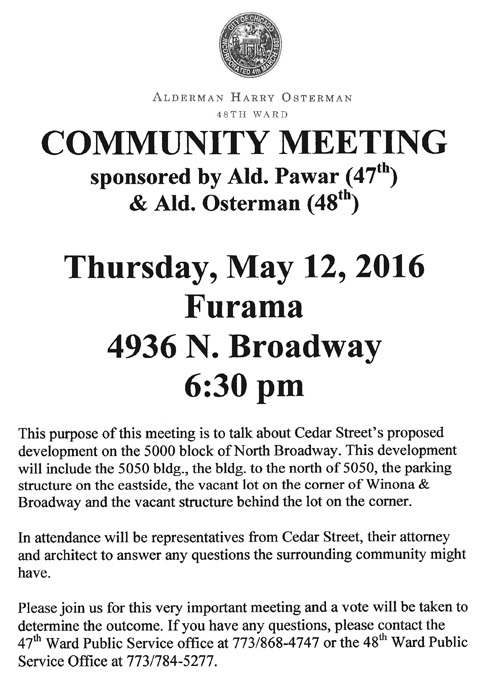 This will be the last in a series of community meetings held by Cedar Street, and a vote will be taken. 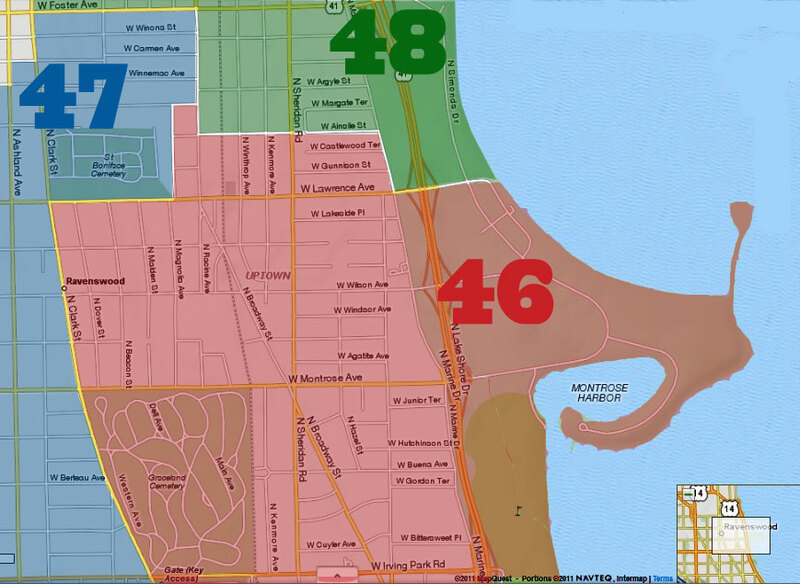 The east side of Broadway is in the 48th Ward and the west side is in the 47th Ward. I very much hope the vote is a resounding "YES!" That stretch of Broadway, and the neighborhood in general, desperately need a development of this size and quality. Let's hope there will be affordable housing for lower income people. Wouldn't it be nice if there were a neighborhood blog that had answers to those kind of questions? Oh, wait, there is! Let's hope NOT. There's enough housing in this neighborhood for "low income people." 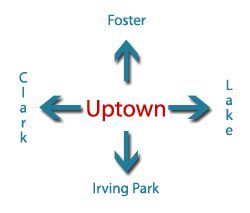 while there maybe be a large number of social service agencies and buildings that are low income only, I think we could use more mixed income housing with the hopes that over time mixed income housing becomes the new norm and that as the low income only buildings are rehabbed they also become mixed income. As someone on disability trying to stay in the neighborhood I love it has been very difficult to find good housing that I can afford on my fixed income. Wilson Yard has a closed waiting list as do so many other buildings. Affordable is a target that keeps moving into more expensive income ranges, but fixed incomes don't budge at all. I was against Wilson Yards when it was proposed but in reality it's turned out to be a great project with very few issues. I hope the same will happen here but with a wider range of incomes and rent structures to allow a diverse community to live together and begin to see our common goals and humanity in the pursuit of life liberty and happiness.